I was a teenager when I had a dream about a little blond girl who was holding my hand as we went on crazy adventures. The dream was so real that I woke up, grabbed an empty notebook, and scribbled it down before I could forget anything. From that point on I always kept my eye out for the little blond girl that I knew I was meant to find. While serving my church mission or teaching a classroom of second graders I kept my eye out for her. And while I was able to help some amazing kids, I never had that connection that I experienced in my dream. A blessing poured in my life when my husband and I adopted the most beautiful little baby girl. I knew pretty early on that she was the little girl I dreamt about. When she got old enough to hold my hand, the memory of the dream would come rushing at me and the feeling of connection was so strong that it shook me to the core. When my daughter was about 4 she started asking my husband and I to tell her stories of when we were kids. She loved to hear about our ups and downs of childhood. In a way I think that helped her to relate to us. That is when the seed for this project started. I wanted to write a collection of our stories. Stories of how I dealt with embarassing moments or times I was terrified. Stories that would make her laugh. But also stories that would connect us as a family. Stories of how we were destined to be together and the miracle of her adoption. Our stories. Over the years as I became a little more forgetful I would feel that desire to write the stories down, but life was always busy. 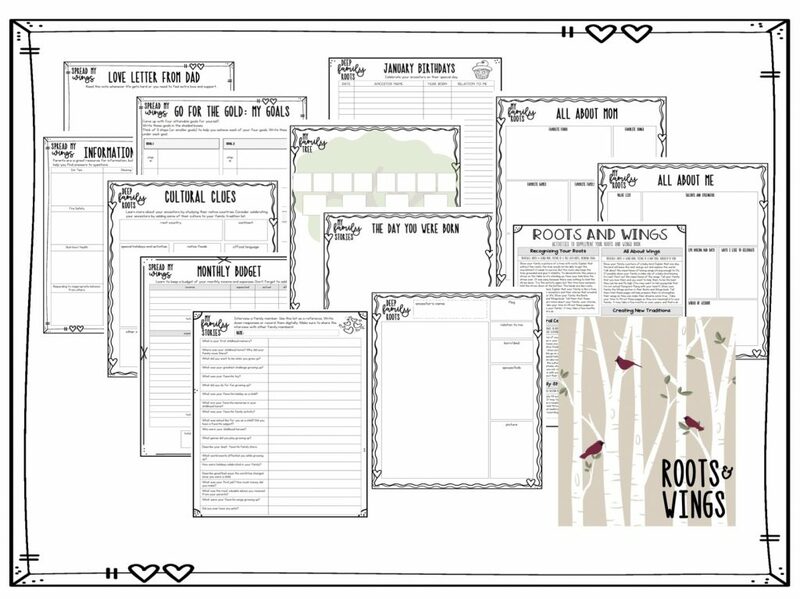 Our family experienced some pretty big changes about the time my daughter became a tween and my whole heart desired to give my daughter the one thing that I knew would help her through these adjustments- roots. Because that’s what you need when the ground is shaking. She needed to know not only who she was, but who our family was and what we believed in. She needed to have our stories. She was starting to wonder more about her own biological ancestors. If thoughts and feelings could scream, I was getting yelled at constantly. She needed this gift. She needed her roots. And she needed another gift that I was beginning to recognize. She needed me to start trusting her with more responsibilities. 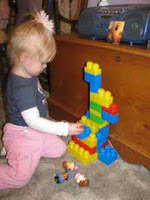 She needed me to slowly and carefully prepare her to conquer the world from a loving and supportive sideline position. She needed to work on her wings to fly- one feather at a time. She needed her roots. And she needed her wings. And in true teacher mom fashion, she needed me to put them in a book that she could read over and over and reference back to when life got hard. So I got to work creating a template that we could fill out as a family. A book where we could write our stories. A book where we could write our family’s beliefs and mission statement. 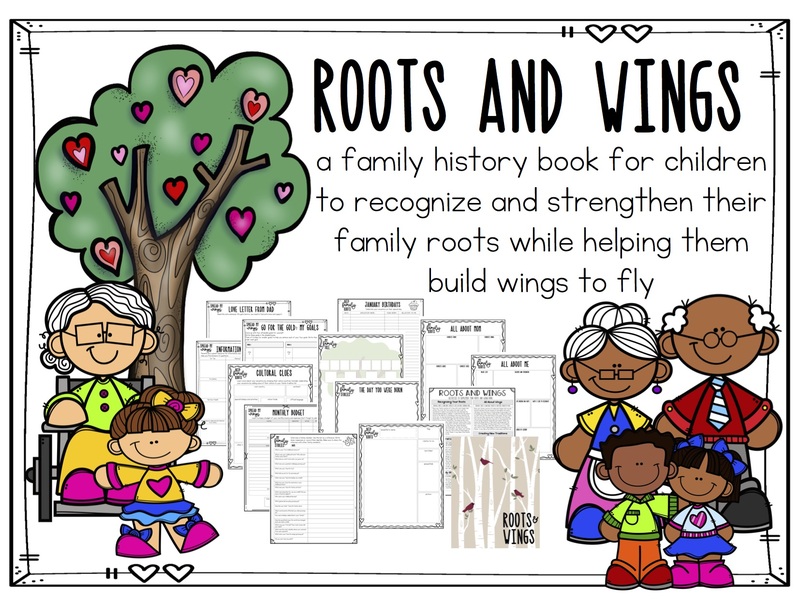 A book that we could document our deep family roots with stories and information of our ancestors. A book that would provide my daughter with the confidence and knowledge that she can fly. 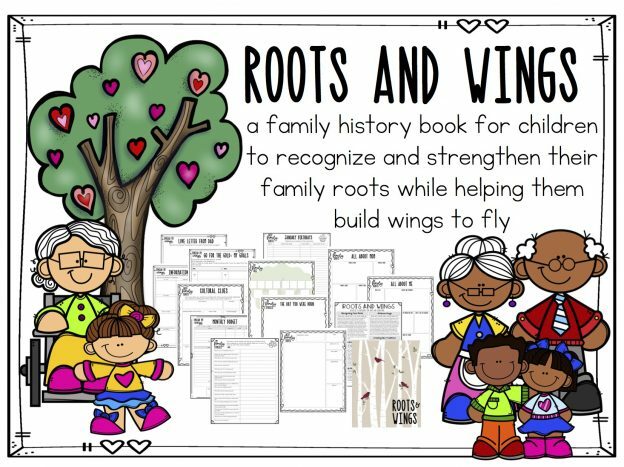 A book of roots and wings. And I thought, if my daughter needed this maybe some other family could benefit from it as well. This is a book about YOUR FAMILY, so I wanted to give you options when it came time to making your book. There is a hefty appendix section with a TON of additional pages and some cover options. And I am open to suggestions if you have additional page ideas! This book would be a great family night project. I’d just work on one page at a time, doing your best and putting a lot of thought and love into it. The more love you pour into it, the more meaningful it will be to your family. Encourage your kids to get involved in creating a family mission statement or drawing a family flag. There are pages for them to write/draw their own stories. If you have multiple kids, I would have them each create their own book. This may be more work to begin with, but each child will benefit from having their own. There are pages for the parents (or check the appendix for other significant loved ones) to write love letters of encouragment to each kid. Kids can also write their own personal bucket list or quotes that inspire them. It’s meant to a personal, individual project. I also think it would be a great idea to have siblings contribute stories and love notes to each other in their books! This entry was posted in Uncategorized and tagged family history, fhe, My Faith Monday, parenting, roots and wings, teacherspayteachers on March 5, 2018 by ktoponce. Our family’s new year resolution is to work on gratitude (read more about it here). During the month of January we will be focusing on learning more about our Heavenly Father, why we are grateful for Him, and different ways we can express that gratitude to Him. Each week we will discuss one of the following topics. I have also included a brief list of some of the resources we will be using to teach each topic. Many of the resources come from the Primary Partners/ Sunday Savers sharing time books that I bought years ago at Seagull Book for $2. Other ideas I found while searching online. I am sure there are a million other cute ideas on these topics out there and if you know of any I would love to hear them! This entry was posted in church, faith & family, fhe, gratitude, lds and tagged My Faith Monday on January 1, 2012 by ktoponce. This site also includes activity booklets for George Washington, Alexander Graham Bell, Abraham Lincoln, Marco Polo, Galileo, Helen Keller, and more! These booklets are supposed to be used in connection with videos that you can purchase. . . but they are pretty pricey. 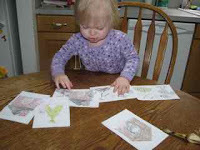 I would love to get them for my daughter but for now we will just enjoy the coloring pages! And there are activities in these booklets for older kids, too. . . take a look! This entry was posted in faith & family and tagged My Faith Monday, wednesday website on April 1, 2010 by ktoponce. 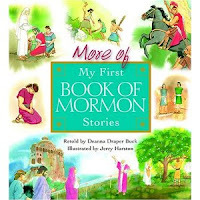 This entry was posted in faith & family, fhe and tagged Book of Mormon, My Faith Monday on March 31, 2010 by ktoponce. our My Faith Mondays. There is so much material and great ideas- just find what works best for you and your kiddos and teach away! YOU are your child’s first and most important teacher! I found these Everyday Bible Story DVDs at the dollar store for, well, . . . a dollar! This is just one of the eight DVDs we got- and my daughter’s favorite so far! There are bible stories and music videos- nothing too fancy, but captivating and educational for a toddler or preschooler. 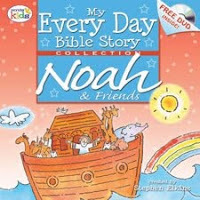 We have also been using (just a little) these classic Scripture Stories and matching DVDs. They are designed for older children so we just kinda pick and choose what my daughter sees on the videos. I actually have memories using the old tapes to read along with these books- and the guys voice on the tape (and movie) is kinda scary. 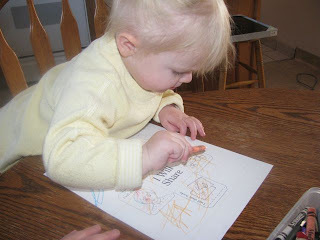 I love getting ideas from other websites- Sugardoodle.net is one of my favorites for religious teaching. Check out this post on a week long Easter experience for your family. 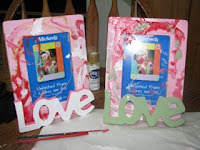 There are also lots of other blogs I read to get inspired for activities! We just bought this for my daughter’s Easter- she has the first book and is starting to get into the stories more and more. I am currently working on organizing my religious ideas into a binder- that’s the goal for this week! These are just some of the ideas- I would LOVE to take our weekly scripture stories to the next level by applying one or two main principles (such as prayer with Daniel in the Lion’s Den, obedience with Nephi, etc..) I want to also add a little song, coloring page (for her scripture story folder), and a game (‘cuz thats how my Boo learns!) So much to do and so little time. . . This entry was posted in faith & family, learningtime and tagged curriculummapping, My Faith Monday on March 29, 2010 by ktoponce. I finally have a sec to whip up a blog post! My life has been so SO busy balancing work and mommyhood! Let me share with you some of the ideas for activities that we have done over the past couple weeks. We have learned about the Old Testament prophets Noah, the Tower of Babel, the temple, and the Book of Mormon story of Samuel the Lamanite. We are currently working on the story of Joseph Smith and the origin of the Book of Mormon. I decided to spice things up by alternating weeks between bible and book of Mormon stories. 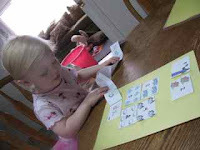 For Noah I used a file folder game found here and a lapbook found here. To learn about the tower of Babel, my Boo and I built a tower up to a picture of Jesus. We then used Little People (valuable resource for learning!) to try and climb the tower to see Jesus. I then had Jesus tell the people that they don’t climb a tower to see him (in my daughter’s words “that is SOOO silly”) but we pray to him instead. I kept the lesson super basic and my little one caught on! We learned about the temple this past week as well. We built a tower with blocks and used the Little People guy my daughter has named Tony as Angel Moroni on top of one of the spires. We talked about how we all got to go to the temple as a family and I showed my daughter her temple dress, after which she wanted to immediately take of her jammies and put it on (and for her thats a big thing- jammies are her favorite things to wear)! She has grown in the past 2 years however- but she still squeezed into her bonnet! We also had some of the Little People go to visit the temple- I had one of the people be naughty and told Boo that ‘cuz that person was naughty, she couldn’t go to the temple. She had to make better choices and be nice. NO time was wasted in repenting so all the people could be at the temple! Samuel the Lamanite was another little story we talked about this week- using the megablocks and Little People again- we built a wall and had Tony a.k.a. Samuel tell the people (who happened to be Candy Mommy and Santa Claus Little People) that Jesus was coming and they needed to be nice. Kept it short and simple and to my daughter’s asking repeated it A LOT!!! She really likes her scripture stories! We picked up some hula hoops for Boo and she LOVES them! She calls them her “hula loops” – so cute! What do we do with them? We jump from hoop to hoop, we use the hoops as cars and run around the house, and eventually mommy will be using them for sorting activities. We also have gone on a few walks, been to the park to play, and learned new games such as Red Rover and Tag. Which my daughter CAN NOT get enough of! So this has been very low key- we have learned spanish words for eyes, ears, nose, mouth, arms, head, body, cold, and hot. I want to have her make a book of the spanish terms she is learning so we have an easy way to review words. That is still a project in the making, however! We have spent the last two weeks learning the story of the three little pigs. Initially I wanted to do a different nursery rhyme a week, but right now I am WAY too busy to gather materials for that. 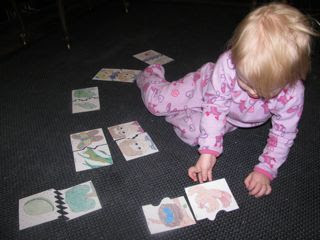 For the three little pigs, we put on a puppet show and have played with these sequencing cards. She has had fun learning this story, however when I ask her to tell me the story of the three little pigs. more than likely she will tell me this” three little pigs, lost their mittens, began to cry….” and continue on with the story of the three little kittens 🙂 -she has that kitten nursery rhyme down! 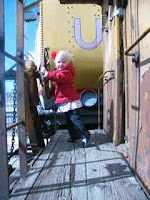 We went to the train station on a cold morning and had all the display trains to ourselves to explore! and a few days later RODE on a train to a nearby city, in a blizzard, to go to build-a-bear. 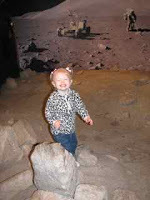 On our way to build-a-bear we stopped by a planetarium to dry off from the storm and “walked on the moon”. It was a lot of fun! I have a list somewhere on my computer of possible field trip locations for your kiddos- if I can find it I will upload it! Some things I want to ADD to our fun days: piano lesson (I have the workings of a very basic “piano” curriculum running through my head) math exploration time, and more arts and crafts. I am slowly getting a structure and routine in place- I just need about 5 more hours in a day to get everything accomplished! And one day a week where I can do some uninterrupted lesson planning! If anyone has great spanish teaching ideas (besides watching Dora the Explorer) I would love to hear them!!!! This entry was posted in explorations, faith & family, field trips, learningtime and tagged My Faith Monday, tea time and rhyme thursday, Tumbling Tuesday, wednesday words on March 14, 2010 by ktoponce. We had a BRIEF little Family Home Evening about how Heavenly Father has a plan for each of us! And yes- although this is typically our Monday activity we did it Tuesday- Monday was just one of those days! we were going to read chapter #2 in our Old Testament Stories book (we are going to read a chapter a week) – but my daughter INSISTED we read Daniel in the Lion’s Den. We went with her choice- I am learning to be flexible!!! By the way if anyone has any cute lesson ideas for Daniel in the Lions Den please let me know! My daughter is obsessed with this story! We put together these cute little puzzles that I downloaded here. (There are more ideas for a more detailed FHE lesson). The puzzles are entitled “We Grow Up to Look Like Our Parents”. It was simple, fun, and hands on! There you have it folks! Gotta run- I have a daughter playing hide and seek in her room when she is SUPPOSED to be napping! Geez!!! This entry was posted in faith & family and tagged My Faith Monday on January 13, 2010 by ktoponce. For my sweet little tot, sharing is not always the first thing she wants to do. We all know what an IMPORTANT and necessary life skill this is- so whenever I can teach her by example, in real life moments, or with a little lesson I do! I had a whole little mini lesson prepared with an activity verse (song with actions) and dice game. My daughter lasted only for the dice game. I downloaded a dice that had different sharing situations here. She colored it, I put it together, and we rolled it MAYBE three times! But we did talk briefly about each sharing situation and how we CAN share! Happy Teaching and Don’t forget to “share” your faith with your little ones! This entry was posted in faith & family, learningtime and tagged My Faith Monday on November 18, 2009 by ktoponce. I am back in the saddle with a new week of learning ahead! My energy level is still down, but I feel strong enough to start doing our lessons again. Today for My Faith Monday we learned about families. There was a lot of curriculum that I wrote on our wiki, but I opted to just have my Boo paint a frame for a family picture. 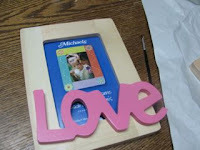 I picked up a frame and lettering for a buck at Michaels. It was a short and sweet activity. So here’s our second official “My Faith Monday” post!! WHAT ARE YOU DOING TODAY TO TEACH YOUR LITTLE ONES ABOUT YOUR FAITH?? Happy Teaching and don’t forget to link up! This entry was posted in faith & family, learningtime and tagged My Faith Monday on November 3, 2009 by ktoponce. Hello!! Welcome to our first official post of the new curriculum designed by Eva and myself! Today is My Faith Monday- a day we focus our tot’s learning on things of a religious nature. My daughter and I are learning about The Creation this week. I have our “learning” broken into three parts. 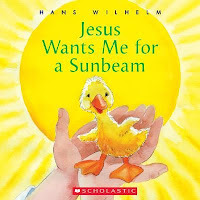 We are going to start our lesson by learning the song “My Heavenly Father Loves Me” (Children’s Songbook, 228–29)and then coloring a small book. After singing the song, we will color a small book on the creation(here or here) and talk a little about how God made the world. “Explain that the creation of the Earth is recorded in Genesis and place the Number One in front of you. Read and discuss Genesis 1:1-5. Allow children to color one half of the Number One with a black crayon to represent darkness. Place the Number Two in front of you. Read and discuss Genesis 1:6-8. Have children color the Number Two blue. Next have them glue cotton onto clouds to make them fluffy. Glue clouds onto the Number Two. Place the Number Three in front of you. Read and discuss Genesis 1:9-13. Have children color the Number Three green. Next have them glue plants, grass, leaves, and small seeds (mustard, celery, poppy) onto it. Place the Number Four in front of you. Read and discuss Genesis 1:14-19. Have children color half of the Number Four sky blue and the other half black. Color the moon yellow. Have them glue the sun, stars, and moon onto the Number Four. Place the Number Five in front of you. Read and discuss Genesis 1:20-23. Have children color the top half of the Number Five sky blue and the bottom half dark blue. Glue fish and birds in appropriate spots. Place the Number Six in front of you. 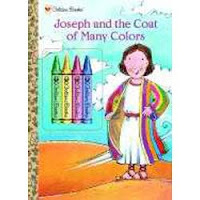 Read and discuss Genesis 1:24-31 Have children color the Number Six green. Glue animals on. Have children draw Adam and Eve on seperate paper. Glue them on the top of the Number Six. Place the Number Seven in front of you. Read and discuss Genesis 2:1-3. 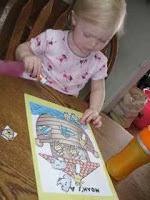 Have children color the Number Seven any color they desire and glue Sabbath pictures onto it. I am going to place the clipart with the stars, moon, animals, crayons, etc in an envelope titled “Heavenly Father and Jesus Christ made…” I will have my daughter pull out the clipart and we will make a “creation collage”. If we have extra time, we will watch this old school Creation Video online. There you have it!!! Our first “My Faith Monday” post!! WHAT ARE YOU DOING TODAY TO TEACH YOUR LITTLE ONES ABOUT YOUR FAITH?? 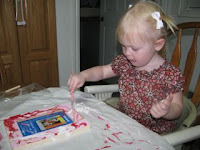 This entry was posted in faith & family, learningtime and tagged bible, My Faith Monday on October 19, 2009 by ktoponce.